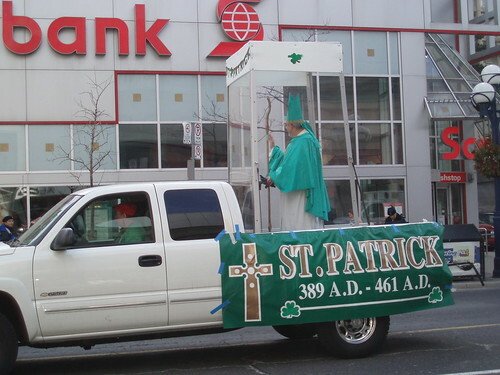 Today I get to share a picture of St. Patrick I took myself during Toronto's St. Patrick's Day Parade. St. Patrick died in 461, which makes this a very special pic. It's the magic phone booth they stick him in as he's driven around in the back of a pick up that made this possible. That magic phone booth preserves the patron saint of Ireland and allows this generation to upload him to our Flickr accounts.